Pre-eclampsia is a condition that occurs during pregnancy which renders the affected woman to experience high blood pressure. In the United States, 5% of pregnant women have pre-eclampsia. This condition predisposes them kidney damage and other complications from high blood pressure level. It is a very dangerous situation not only for the mother but also to her child. Oftentimes, those who are affected with this disease exhibit symptoms such as swelling in extremities, weight gain of 4 pounds each week, and puffiness of the face. If neither treated nor prevented, pre-eclampsia can lead to an even dangerous medical condition known as HELLP syndrome. Such results in hemolysis of blood, elevation of liver enzymes, and low platelet count. For so many years, it has been found out that there is hyperactivity of the blood clotting factors of women who have pre-eclampsia. And because aspirin is known to contain blood-thinning properties, scientists try to see if there are any positive correlations between the two. In fact, in one study about the effects of low dose aspirin in relation to pregnancy, it was found out that women who took the medicine during the first trimester of pregnancy have 24 percent lesser risk of experiencing high blood pressure complication. Further, it also revealed that there is a decrease of about 14 percent when it comes to the risk of preterm labor. 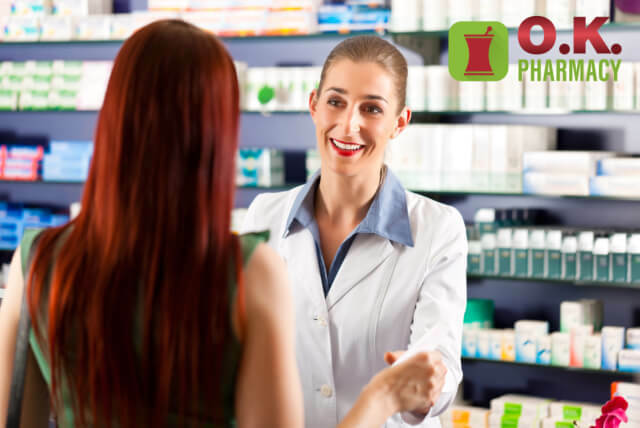 The positive results that low dose aspirin purchased from a trusted pharmacy, such as O.K Pharmacy in Donna TX, have enabled many government health agencies to include the drug as the primary consideration for women who are at high risk of developing pre-eclampsia. This is a boon to the efficacy of low dose aspirin even amidst some sectors questioning its effects to women who are pregnant. Such recommendation will enable more and more women to have peace of mind in their pregnancy because of the decrease chances of experiencing cardiovascular or urinary complications, as well as reduction of problems in terms of bringing the pregnancy to full term. However, there is no hundred percent assurance that religiously taking aspirin will put pregnant women off the hook from pre-eclampsia. But the good thing is, low dose aspirin can place them in a position of relative safety during their pregnancy. Additionally, in a research study conducted, there are no known risks or side effects to pregnancy when using Prescription Drugs. Thus, when your OB-GYN suggests that you are placed in low-dose aspirin therapy in the course of your pregnancy, then be assured that he/she has your welfare in mind. At the end of the day, the prevention of pre-eclampsia can also translate to reduction in complicated delivery and poor pregnancy outcomes. It can further lessen any episodes of PTSD or postpartum depression which normally happens to pre-eclamptic patients. This entry was posted in Pharmaceutical and tagged Pharmacy, Pharmacy in Donna TX, Pre-eclampsia. Bookmark the permalink.